Hi everyone! This is GiGi from The Cricut Bug and I have a card with matching treat to share. I made this set for my niece whose Birthday is coming up shortly. I can't believe she's going to be 23 already! I am starting to feel old LOL! For both of these I kept the same concept of design. 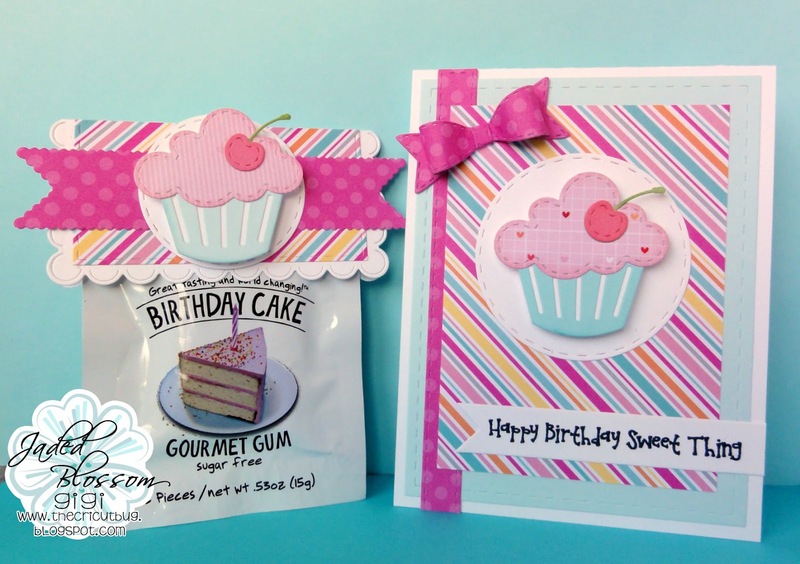 I cut the background mat of the card using the Card Mat Dies and added the ribbon and bow cut with the Border Dies and Bow Dies. I cut the cupcakes using the Birthday Dies and pop dotted them to circles cut with the Stitched Circle Dies. 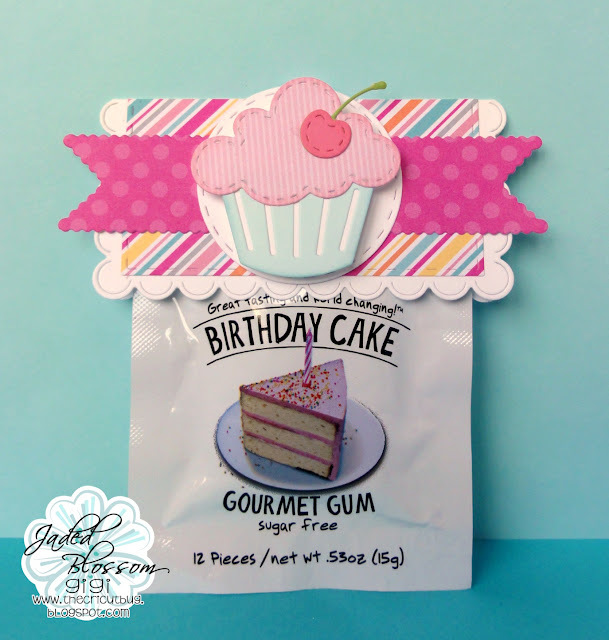 I cut the banners using the Flag Dies 2 and stamped the sentiment from the Ice Cream Kit stamp set. To create the topper on the gum, I used the Scallop and Stitched Square Dies. beautiful card and some interesting looking gum. You ladies always find the fun and interesting candy.